Our combination of the Ellie Oval Extending Dining table and the Eames Style Dining Chair is all about complimentary curves and above all, flexible dining. 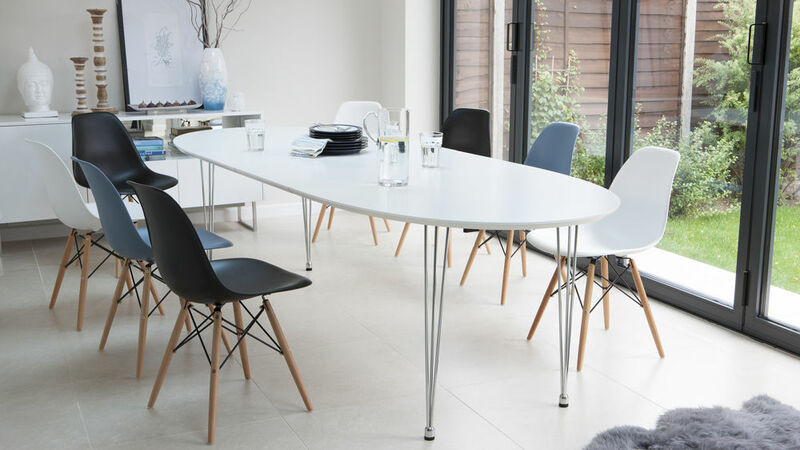 Not extended the table will comfortably seat 6 but with the two extension leafs it can extend to seat 8 or even 10 people. 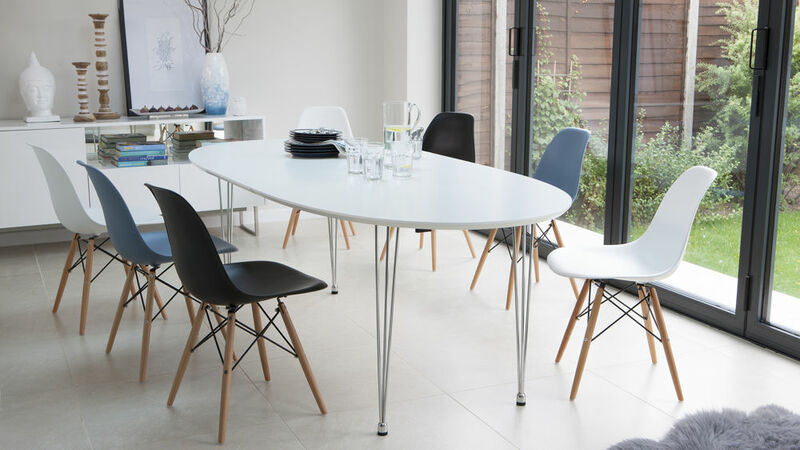 For a table that seats so many this table is surprisingly streamlined. 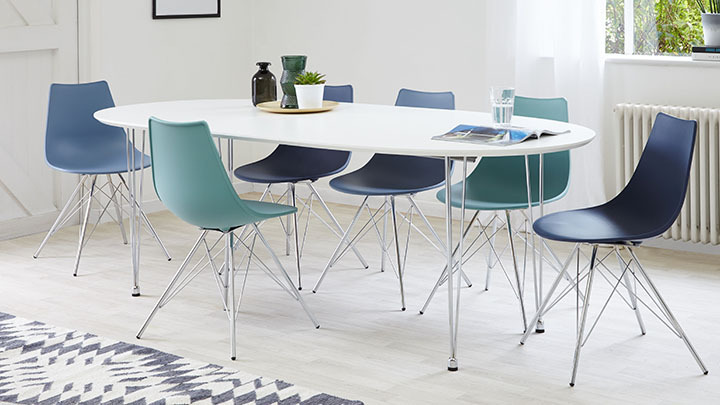 It's as smart with 6 diners as it is with a bustling party of 10. 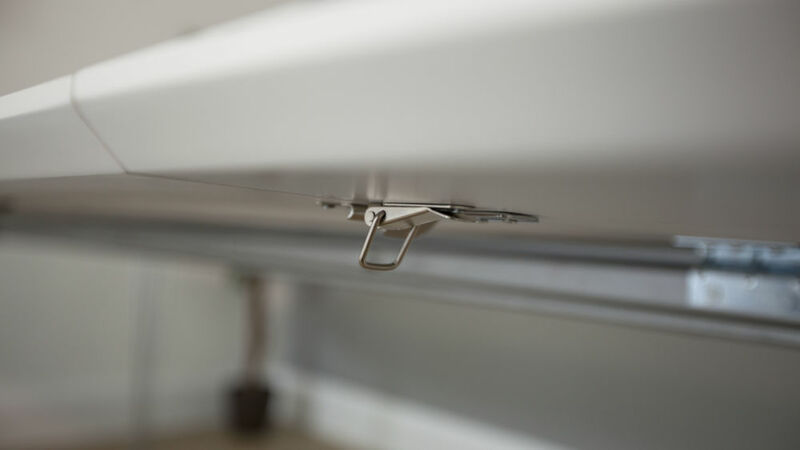  The extending leafs are stored separately to maintain the clean slim form of the table. 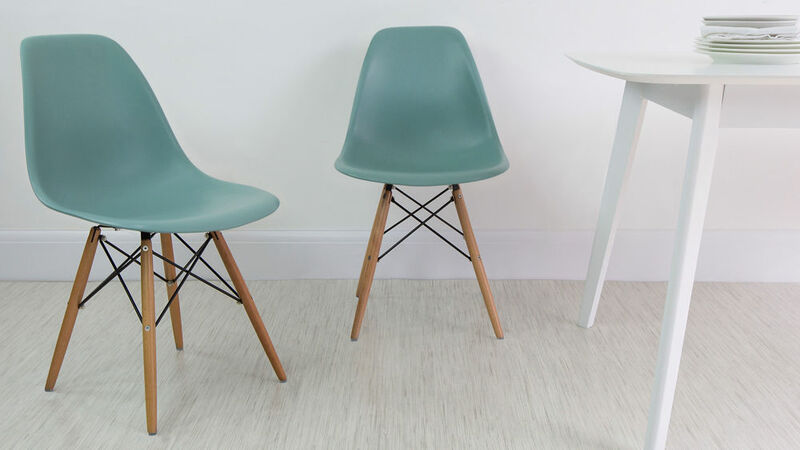 You would never know on first glance the possibilities of this table. 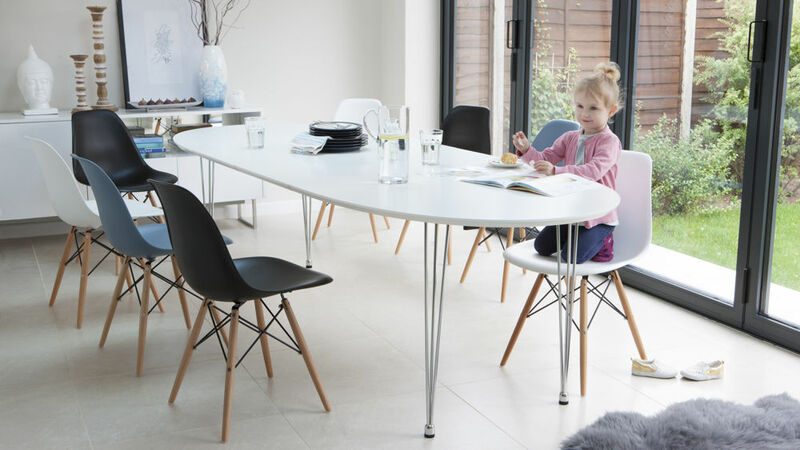 The table itself has a satin finish that is hardwearing and forgiving, ideal for a family on the go and a table that will get a lot of traffic. 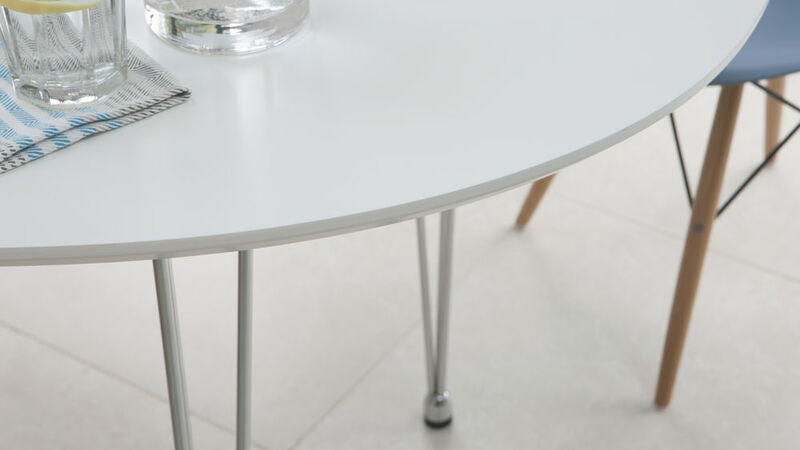 Little details like the chamfered edge on the tabletop and the chrome-tapered legs add subtle style to this otherwise simple table. 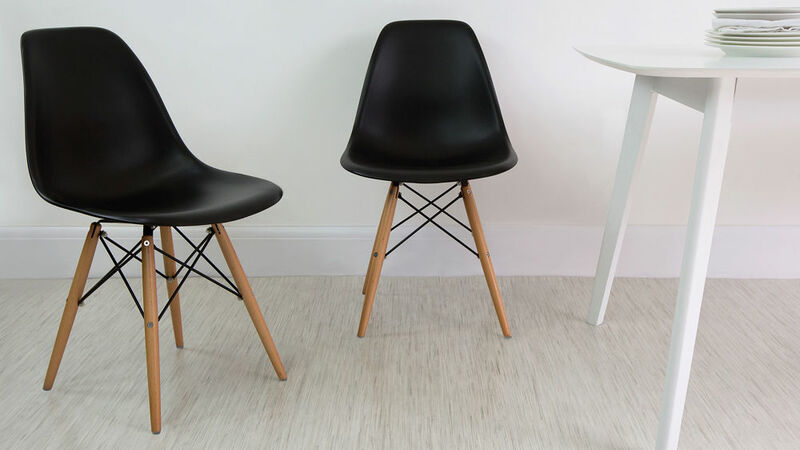 The same is true of the chairs, matt plastic and wipe clean; the Eames Style Dining Chairs are great balance of style and practicality. 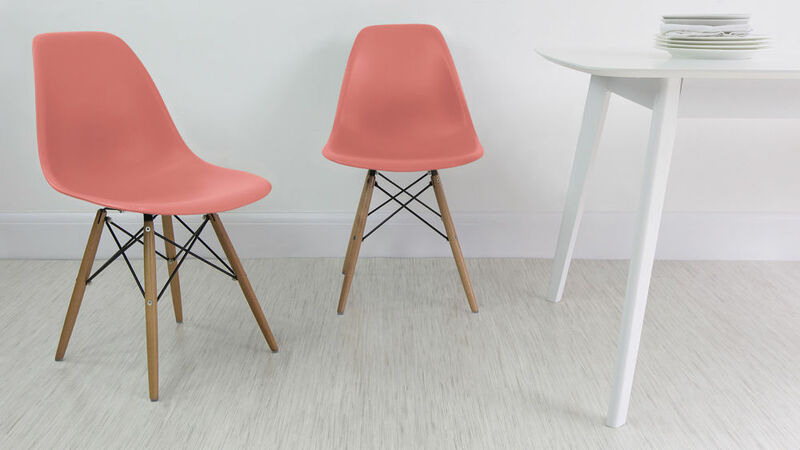 We have shown them here in a cool mix of Grey and White but the simplicity of the Ellie is also a great chance to mix it up with a bit of colour. 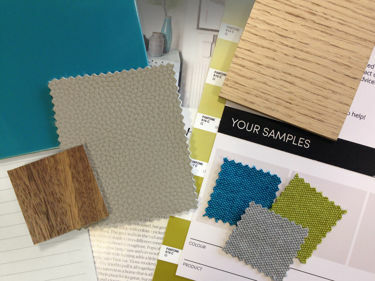 Perhaps go for the colours and pull them out when you use the extension to create a special setting for entertaining. 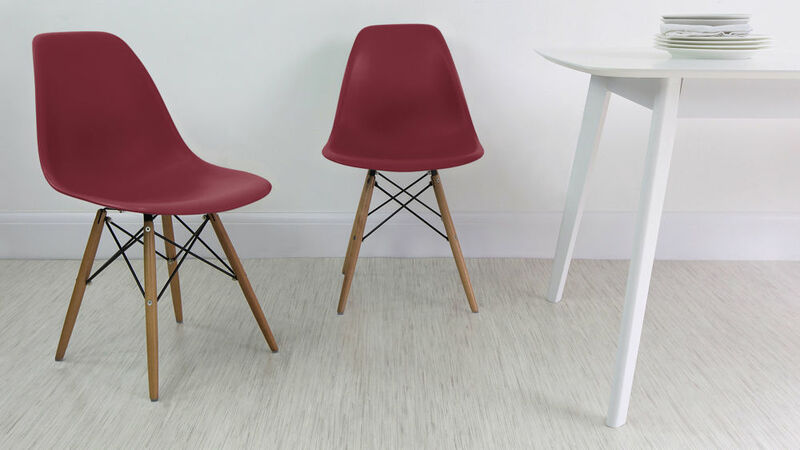 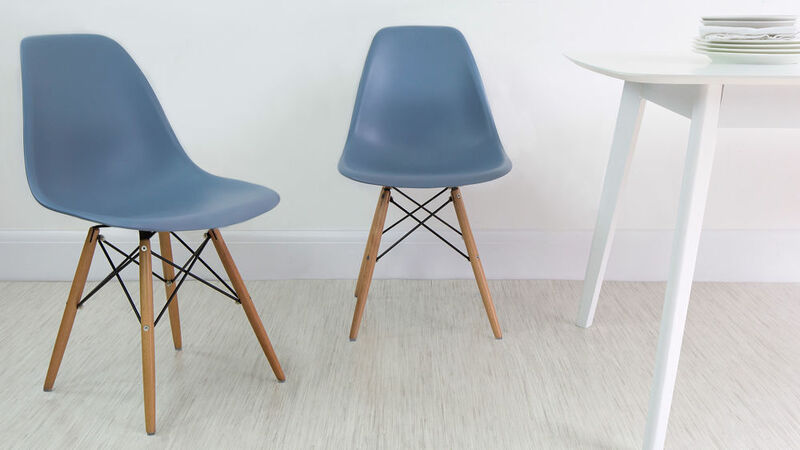 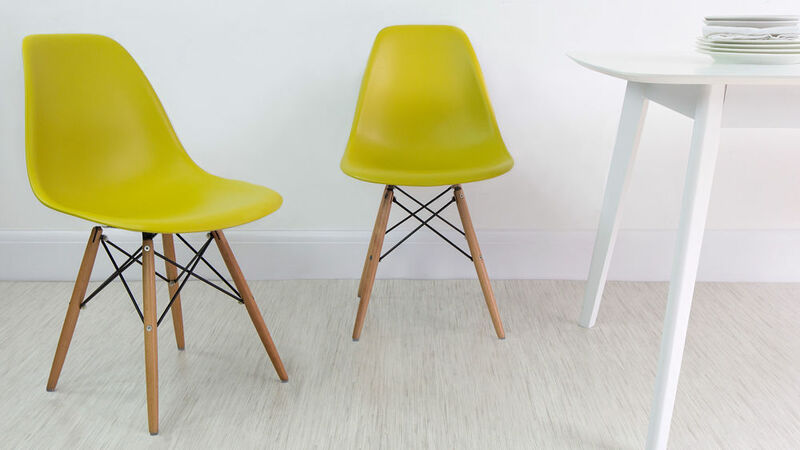 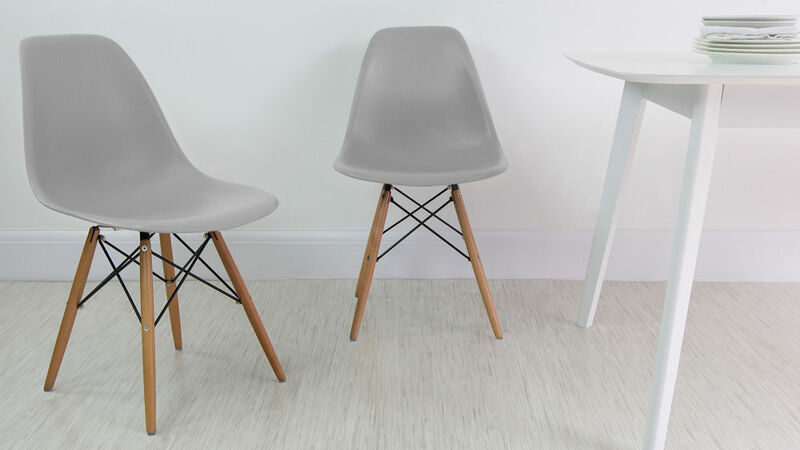 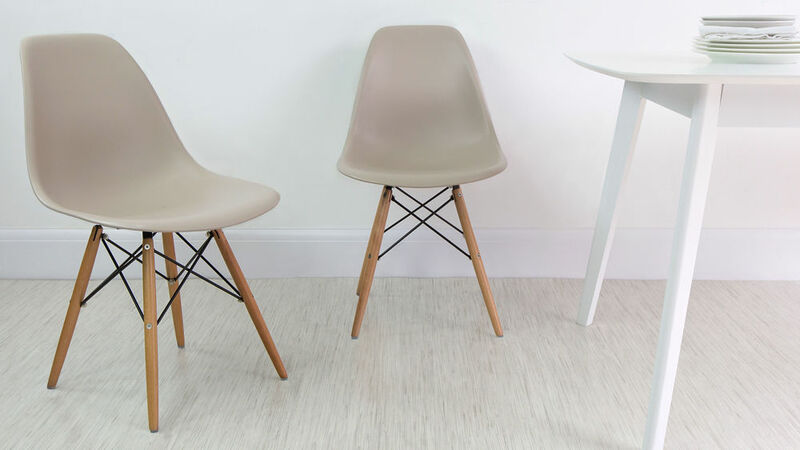 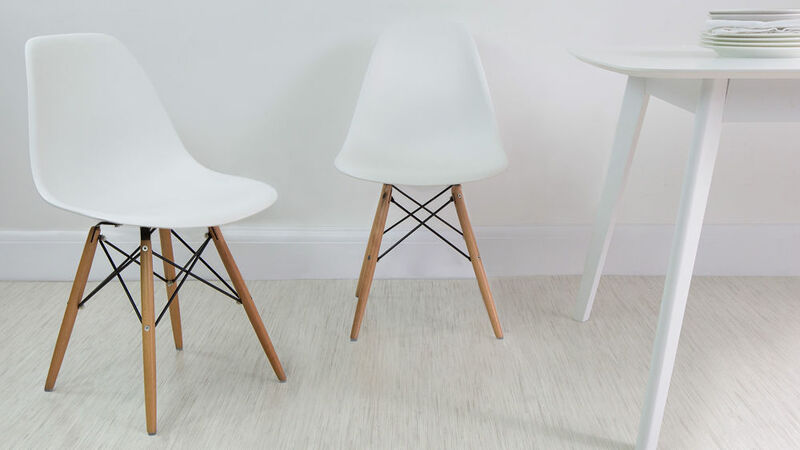 Check out the colours of the Eames Style Dining Chair, just add the items to your basket separately and build the set at the checkout. 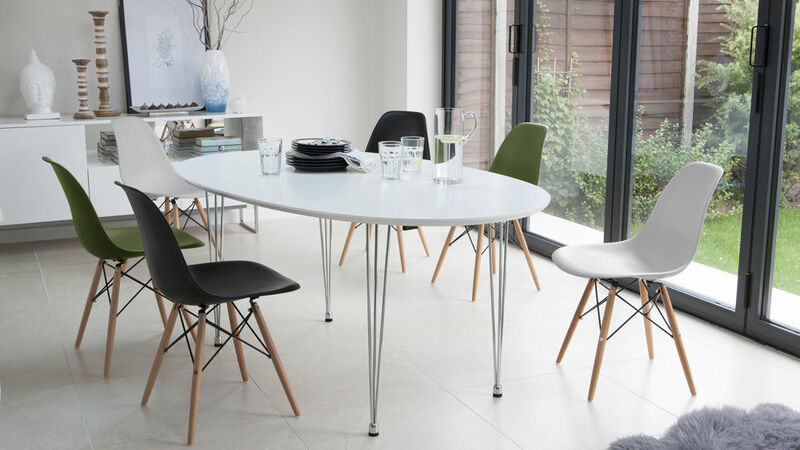 If you don't quite have the space for the Ellie, the Trento White Gloss Dining Table has similar features and would look great with the Eames. 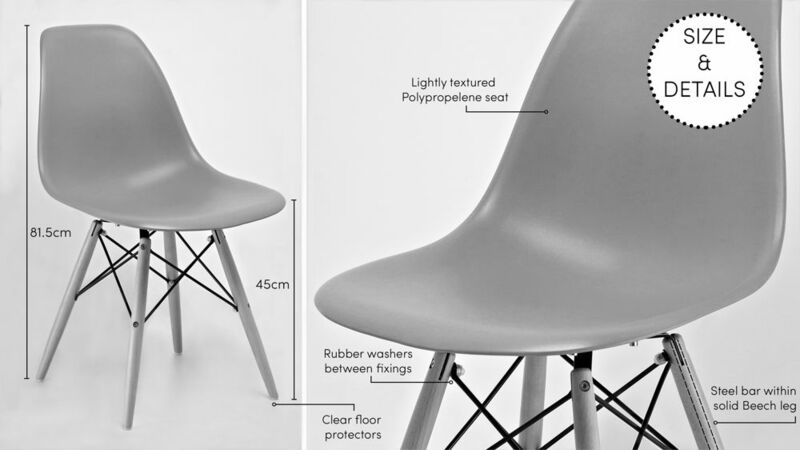 A compact 4 seater it's ideal for when space is at a premium.